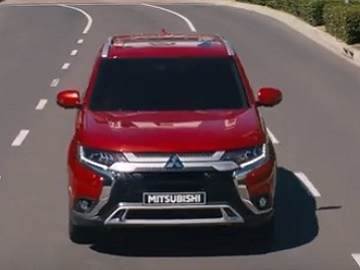 Mitsubishi Motors presents the new Outlander as “Out of This World” in a new commercial, aimed at illustrating the idea that this SUV, “with authentic 4WD and size capacity empowers its passengers to explore past their previous limits, and inspires them to wonder what lies beyond the next boundary”. “Four-by-four capabilities for the ultimate family adventure,” the voiceover says on the 30-second spot, which features a family on a road trip, discovering amazing landscapes. “Mitsubishi Outlander, Out of This World,” the voiceover also says, adding the brand’s tagline, “Drive your Ambition”. The Outlander also boasts stylish new headlamps with LED lighting for both the high and low beams, LED front fog lamps, Shark Fin Antenna, a sunroof with tilt, sliding and anti-trapping features that lets you bring in the sunlight and fresh air, electric tailgate, rain sensor, rear spoiler, luggage floor box, keyless operation system, an interior with generous cabin space, comfortable seating, with padding and springs in the third-row seat cushions, and more. In terms of technology, the new Outlander features a 6.1-inch QVGA touch-panel display, which can also display the views from the multi around monitor or the rear view camera, USB port conveniently located near the instrument panel, allowing easy access from both front seats, and Rockford Fosgate Premium Sound System.